Buyer is in the center of our attention and we are constantly attempting to meet his demands in the best way. Products and services quality is a strategic basis for development and success for POLEX. Endeavor to develop and improve, to confirm leader’s position is distinctly expressed in POLEX company. POLEX realizes this endeavor in new policy of quality. This policy aims first of all at constant quality improvement of products and services rendered, at thorough satisfaction of Customers’ needs and demands. POLEX chooses Quality system based on standards of International Standardization Organization (ISO) of 9000-2000 and other active standards of development and production system as a tool for realization of strategic and efficient tasks. Introduction of international standard ISO 9000-2000 is one of strategic goals of POLEX. Aspiration of POLEX to undoubted leadership in the market of packaging materials and disposable ware may easily be called another strategic goal of the policy of quality. It should be noted that the term “quality” defines not only products but also work performance of the company divisions. 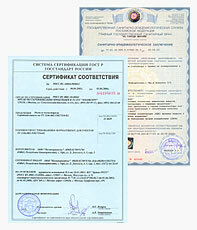 Quality conformance of the output is confirmed with sanitary and GOST certificates. Raw materials and ready output undergo strict quality control according to the above-mentioned certificates.